LoveNokia | Latest News and Information about Nokia Mobile: Nokia 6, Nokia 7 Plus, and Nokia 8 Sirocco launched in India | Price and Availability details. 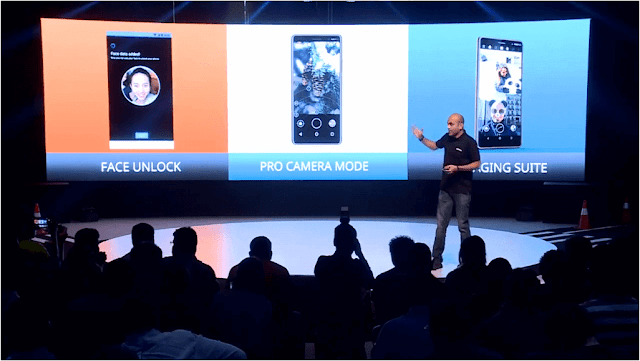 Nokia 6, Nokia 7 Plus, and Nokia 8 Sirocco launched in India | Price and Availability details. As expected, yesterday at a launch event held in New Delhi, Nokia Mobile launched their 2018 line up of Nokia smartphones in India. The main highlight of all three smartphones i.e. the Nokia 6 (2018), Nokia 7 Plus and the Nokia 8 Sirocco is that they run on the Android One platform and come with ZEISS optics and great build quality. These latest Nokia smartphones will be available for purchase from this month itself. Below are the price and availability details. Nokia 6 (2018) will be available for purchase from Nokia Mobile Shop and all leading online and offline retailers starting from 6th April for the best buy price of 16999/-. Nokia 7 Plus can be Pre-ordered starting from 20th April and the deliveries will begin from 30th April. Nokia 7 Plus is priced at 25,999/- and can be purchased from Amazon.in, Nokia Mobile Shop and major offline retailers in the country. Nokia 8 Sirocco is priced at 49,999/-. Pre-orders will begin on 20th April and the devices will start shipping from 30th April onwards. Nokia 8 Sirocco will be available on Flipkart, Nokia Mobile Shop, and other major offline stores as well. Nokia Mobile has brought back the Pro-Camera mode on popular demand and as these smartphones come with ZEISS Optics they will also come with the Pro Camera mode built in. Nokia Mobile also announced that these smartphones come with AI imaging suite which will allow users to change the lighting conditions and also add fun characters to their images. Nokia 6, Nokia 7 Plus and Nokia 8 Sirocco will also come with face unlock feature which will enable the users to unlock their devices by just looking at it. Nokia 6, Nokia 7 Plus and Nokia 8 Sirocco will come with some cashback offers which will reduce their effective prices. Many thought that the iconic 8110 4G will also be launched at the event but it didn't happen and it is expected to be announced in the month of May.